Fire alarm systems are our first defense against danger — when seconds count, it’s the fire alarm that first alerts building occupants, authorities, and responders of a situation. Without a fire alarm system, quick building evacuations, speedy emergency responses, and overall safety are drastically compromised. The largest manufacturer of fire alarm equipment in the world, Notifier offers the newest technology for reliability, assurance, and comprehensive building coverage needed to keep a property safe and protect lives. These powerful, customizable systems can be designed, engineered, and installed specifically to fit your space, building, or unique setting. 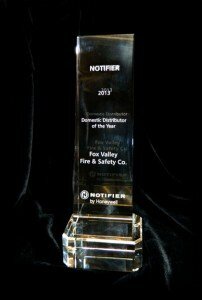 Fox Valley Fire & Safety is the leading Notifier distributor in the Chicagoland market, earning the prestigious Notifier Distributor of the Year Award in 2013. We take pride in providing our customers with the total package; from engineering the system, to professional installation and programming, to providing system maintenance year after year so that you can be assured you have the best protection. Sometimes, fear and panic can overtake a space in the event of an emergency — especially in crowded, high traffic areas and in high rise buildings. Voice Evacuation Systems combat this instinct with calm announcements throughout a building, assisting people with orderly evacuation procedures. Whether it be in response to a fire alarm activation, a severe weather evacuation, or other danger, the voice evacuation system provides clear communication. Firefighter telephones can also allow for improved communication for a Fire Department emergency responders on the scene, creating dedicated two-way contact points. Essential requirements of Municipal Codes, an Elevator Recall System eliminates the potential danger of passengers being trapped in an elevator in the case of a fire and allows the fire department to take control of the elevators to quickly get firefighters to the necessary areas. These “safe havens” normally in stairwells, creating a calmer, controlled refuge for occupants in the event of a fire. Fox Valley Fire & Safety professionals can work with you to put a system in place. Those in danger have designated safe evacuation locations with communication equipment in place. 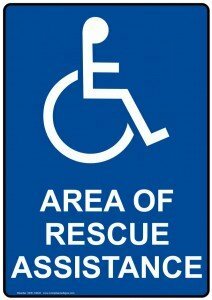 The system provides two-way communication with onsite emergency personnel to provide the most efficient and safest exit of a property that has become dangerous. The Fox Valley Fire & Safety Team offers support and technical expertise in Notifier systems and all those specialized solutions mentioned here. Our experienced team of safety professionals offers design, installation, engineering, service, inspection, repair, maintenance and monitoring for any major fire safety system manufacturer, 24 hours a day, seven days a week. For more information or to get started with a fire alarm system today, contact the team directly.